Right now I am focusing on optimizing all the official maps in the game. This includes: Colorado V2, Caliwood and Colorado V1. (Oregon already has these optimizations.) The main reason is because after releasing the Oregon BETA I realized that the loading time and FPS / performance was better on the map than that is on current Colorado V2 for example. This is very interesting because Oregon is 4 times the size of Colorado and should have longer loading times and "less" FPS / performance than Colorado. This made me wonder; "What is going on here?". Oregon is a map created from scratch, where Colorado V2 for example isn't. What will players gain from these optimizations? Better FPS, better performance, more stable performance and faster loading times in the maps being optimized. What changes are going to happen? - Navigation Mesh: Navigation mesh is simply a generated area that indicates where zombies can walk / not walk etc. (simple explanation) Navigation mesh is very intensive mainly on the server's CPU so; the better the nav mesh is, the better this is for the CPU of the server. - Loot: Here lies the main "issue". Players get affected by this a lot. Basically in Open World there is too much loot. The funny part is that almost 50% of the loot spawns are always empty. This means that if a certain area has 20 loot spawns, 10 of them will always be empty anyways. Multiply this example everywhere and you pretty much have thousands of loot spawns where thousands are empty. Why is there empty spawn chances to begin with? - For us, to control the loot better. Is it needed? - Not really. We can change this as long as it's done properly. In the end we don't need so many loot spawns. It's better for the client and the server to have less loot spawns and less empty spawn chances. The funny part here is that if done correctly, players won't notice anything of this change. The plan now is to remove ALL the empty spawn chances aka the 50% empty rate, while at the same time also remove 50% of the spawn points. This literally won't change anything for the player other than that he will have better FPS / performance and the server will have WAY less to handle resulting in less crashes / better performance as well. 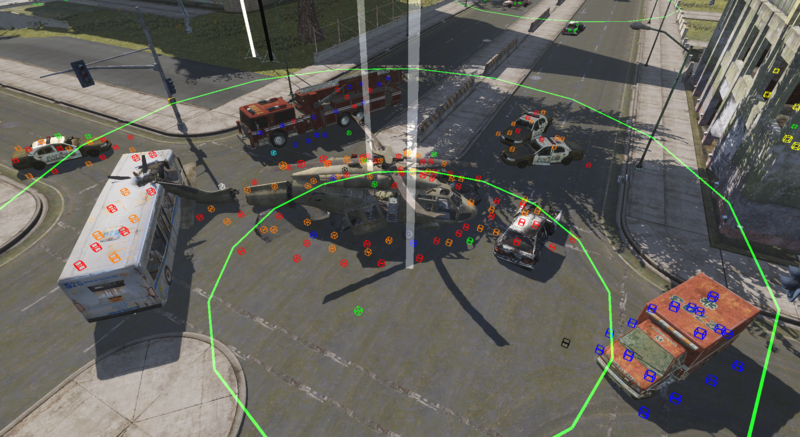 Before the changes: The Helicopter in Boulder right now has 80 loot spawns where 50% of them are always empty. After the changes: The Helicopter in Boulder will have 40 loot spawns where 0% of them will be empty. Summarized up: Nothing will change other than better performance for the servers and client, less crashes etc. This is just an example of how it will look (for the server) after the changes. You might be thinking; "Oh no, they are nerfing the loot like crazy" but that's not true as you have read in the examples and explanations above. Right now I started with Colorado (V2) and that is already around 40% done where only big cities such as Boulder / Campos are still missing. The plan is to finish this as soon as possible for the Open World maps. Red means, not done and green is done. When it's like half then its half done. I think that a lot of players are going to like these optimizations as it will overall bring better stability to our servers and better performance while playing. These optimizations will be patched in very soon. The loot might not be 100% the same as it was, where we aim to make it even better, while at the same time implement these optimizations. Your feedback here is important so make sure to let us know if you experience anything related to this! Let me know in the comments what you are think about this and if you have any suggestions or ideas! Let us know what you guys think about this! The next patch will, for sure, increase your FPS and make your game way more stable. Indeed, that's something extremely difficult to do. Sometimes that will work for certain type of hardware, but not for others... With this, that will help for sure. There is other things coming that will improve your fps! Fixing FPS / Improving FPS / Improving Performance / Loading times / Crashes / Server Crashes are ALWAYS our main priority to fix. Every single day we do improvements related to this and every single patch there is things that improve this. We will always keep doing this. Like Kaz already said as well: "that will work for certain type of hardware, but not for others... " is one of our hardest things to deal with related to this. Either way, it can not harm to always improve, improve and improve. Thanks for your comment anyways! Boa iniciativa, sem duvidas esse é um dos maiores problema do jogo. Testem a diferença em um computador mais fraco, um computador que a maioria dos playes tem. com no maximo 6GB de ram e uma placa gráfica mais modesta. Obtendo susseso nessa fase, vale resaltar que, a outro problema chato para playes que gosta de farmar loot, a instabilidade do Ping ao juntar muito zombies. sabemos que independente da sua intenet, o ping sobre muito ao fazer isso. seria bom pensar em algo que ajudasse a melhorar isso. This is actually something I can see we improved on a lot. For example: we have staff, mods helping to test out every day. Good computers and bad computers together and as soon as someone has bad FPS we look into it and aim to improve it. We will keep doing this at all costs. Great work guys, keep it up!! Map Oregon(No Beta) When will come? You can already play this right now. Who doesn't want better FPS right! Awesome work guys! Keep it up I hope this will get more players back into the game! For patch 2.19 we have major improvements coming for the vehicles. We are testing this soon but should make them way more stable. Right now they are just going all over the place.. Stay tuned for this and thanks for your question! We haven't had this in a long time , possible to look into this Sven? And just yesterday I was crashing every five minutes in Premium Colorado NATO. Regarding your crashing - have you uploaded crash dumps afterwards? This is very important for us since we can most likely see here why you crashed. Also, is this happening in ONLY Nato or is Nato just an example? Could you make a support ticket about your issue with all this information so that we can help you further there individually? Regarding your private server - is it your private server? (do you own it?) Also, has any behavior changed ever since this started to happen. For example; have you shared the server with more people? Need to know this. Here's one idea that I just happened upon today. I was playing with my usual ~30ms FPS. I got curious and took a look at my game settings. I found I was set up for medium graphics. Thinking that there had to be a better setting for my particular system I came up with the answer for a better FPS for me. I switched from Medium to Potato. Now, my FPS is running ~70ms instead of the very poor ~30ms. This may be a workaround for those that are impatient while you are working on those optimizations for the entire map. Hope this helps relieve some of the frustration that I see posted on the forums. I know it's helped mine. 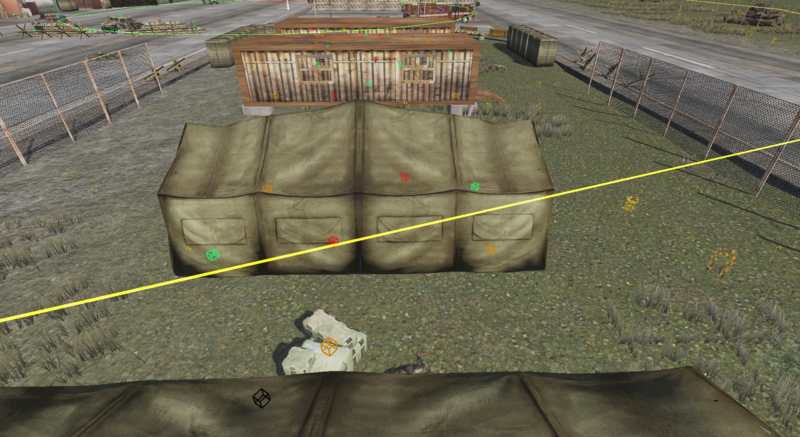 @Silenterror… While you are optimizing the maps overall, What is the chance that we could finally get rid of all those boulder piles that suddenly appeared a few months ago. They really cause problems negotiating the map in any vehicle due to the fact that you can get stuck on top of one and not be able to exit the vehicle causing forcing you to quit and reload and hope that you respawn near the vehicle you stand a chance of losing in the process. According to Sven this is fixed for the next patch!